Lucasfilm revealed today a new Star Wars tie in that is set to continue the Rogue One story from a different perspective. 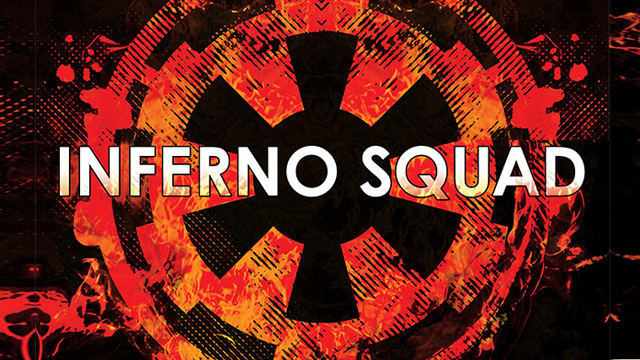 Inferno Squad, written by Christie Golden, will be released July 25 and will follow an elite Imperial squad and their mission following the Rebellion’s successful theft of the Death Star plans. Rogue One, released in theaters late last year, has passed a billion dollars at the global box office. The film stars Felicity Jones, Diego Luna, Mads Mikkelsen, Donnie Yen, Jiang Wen, Alan Tudyk, Riz Ahmed, Forest Whitaker, and Ben Mendelsohn. Are you interested in checking out Inferno Squad later this year? Have you been reading the Star Wars tie-in books? Which ones have been your favorites? Let us know in the comments below!